The fact is in London you are never from a Museum. 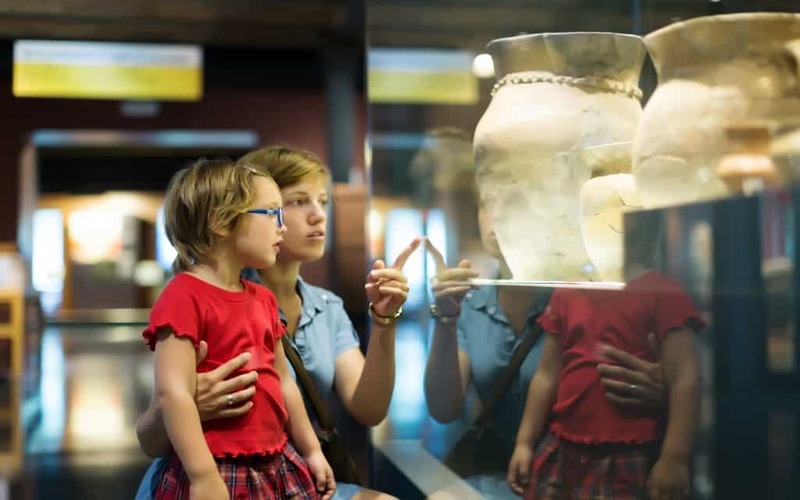 You can find all categories of museums you will ever want to visit or explore. From free museums to weird and specialized in specific ones you can go all the way to find every kind in London. There are over 170 of them that include the world’s finest and popular ones too. So, if you are a history admirer and are in London for any reason is it holidaying, business meet or any other then you must definitely take some time out to explore the essence of the ancient times of the world, the permanent collections, and about the lifestyle of our ancestors. So, here we have compiled a list of the top 5 or say 5 best museums you absolutely should not miss when in London. Many of them have costs no entry fee. About: It is considered to be one of the greatest collections of the decorative art, fashion, design and textiles in the world. It is the most magnificent museums, whose foundation stone was laid on the site by Queen Victoria in her last official public engagement. Highlights: Seven Raphael cartoons, collection of Italian renaissance sculpture, Ardabil carpet, fashion galleries from 18th century and photography collections that hold over 500,000 images. About: It is considered as the home to the most global finds by the British explorers. This museum in 1759 became the first-ever national museum that is open to public. The British Museum is one of the most popular attraction in the world with over six million visitors. Highlights: Ancient coins, medals, and natural remains, Rosetta stone form ancient Egypt, Parthenon sculpture form Acropolis in Athens. About: The National Maritime Museum is the part of the Royal museums, Greenwich that features the Queen’s House, Cutty Sark and the Royal Observatory. Highlights: Nelson, Navy, Nation gallery, and every detail about the battle of Traffalgar and the Jame’s cook North West expedition. About: It is considered as the world’s most iconic art galleries. This is a riverside icon that is dedicated to the things including modern and contemporary art. The Tate Modern is one among the four Tate venues in UK. And each year it welcomes a stonking 5 million visitors. Highlights: Its permanent collection features big names like Barbara Hepworth, Pablo Picasso, Henry Matisse and many others. About: The Natural History museum is one the most fascinating museum and is a home of over 80 million plants, fossils, animals, rock and mineral specimens. It is considered to be the world-class research institution and a fabulous museum. And every year the museum features fresh new temporary exhibitions and also some of the favorites that include the wildlife photographer of the year or the butterfly house and much more for the tourists. Highlights: 26-meter long plaster cast replica of Diplodocus skeleton, a blue zone that features animatronics dinosaurs, a green zone with creepy crawlies, a red zone to discover the famous earthquake simulator. The London is a hub spot for the history enthusiast, and if you are on a visit to London to explore the different museums then the above recommended museums must be your top priority and then the list can be continued with few more best museums like National Gallery in Trafalgar square, Design Museum in Kensington, science Museum in Brompton, London transport Museum in Convent Garden, Imperial war museum in Kennington, and many more. And a takeaway for those enthusiasts, if you are considering staying at a place or a hotel where you can find yourself near to the attractions of London then consider The Montclam Royal London House, a 5 star hotel that is situated near the top attractions in the city of London. So, what are you waiting for? Go, Visit, Explore, Enjoy!